For the better part of three decades, guitar virtuoso Nuno Bettencourt and Washburn have paired up to design and craft the platinum-selling guitarist’s main axes. This incredible partnership resulted in the celebrated N4 guitar, and today Washburn unveiled a market version of the visionary player’s latest Washburn collaboration, the 4N. 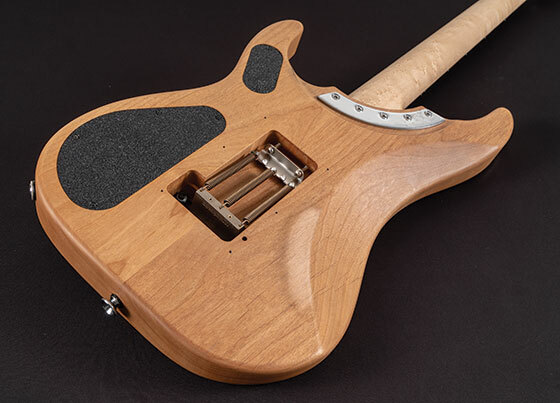 The new model, whose namesake accompanied Bettencourt on tours and gigs for the last several years, launched at Winter NAMM 2019. The new 4N is crafted with an alder body, ebony fretboard and birds-eye maple neck. It features the Stephens Extended Cutaway, a Seymour Duncan ’59 pickup in the neck position and a Bill Lawrence L-500 in the bridge. A Floyd Rose Original Tremolo unit is paired with a Kahler nut on the 4N, and a single volume control and three-way selector switch round out the guitar’s electronics. 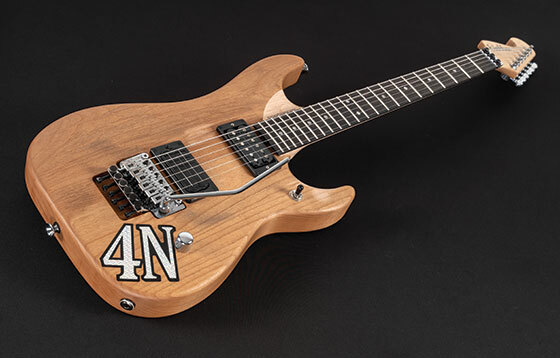 The team at the Washburn Custom Shop went to pain-staking lengths to capture and recreate the uniqueness of Nuno’s 4N. Proving the exacting precision and dedication of Washburn’s guitar makers, the head of WCS Chris Meade even created a custom set of tools to accurately measure the neck on Bettencourt’s personal 4N. From that point forward, every effort was made to get the feel and look captured perfectly. The Washburn 4N features a thinner fingerboard and a deeper neck profile than the N4. It also utilises a unique neck pitch, improving tuning stability and intonation. The guitar's body contours have also been redesigned to improve playing comfort. Nuno Bettencourt was launched into the annals of rock history as lead guitarist for the platinum-selling band Extreme in the 1980s and has since developed a career as an acclaimed solo musician, as Musical Director for the multi Grammy Award-winning songwriter Rihanna and a member of Steve Vai’s touring super group of guitarists Generation Axe. The Washburn 4N Nuno Bettencourt signature guitar is expected to be available Q2 2019 priced at £3199 RRP inc VAT.